In order to extend the operational life of rotating systems we repair, EMC maintains a comprehensive balancing program that includes both vertical and horizontal balancing platforms and their associated systems. In almost all cases EMC is capable of balancing rotating equipment to levels that far exceed the manufacturer’s original requirements. EMC has made major investments in our balancing test pads. The balance test pad must be sufficiently isolated from its surroundings so even the slightest vibration can be detected, located and corrected. The test pad in our Nuclear Services Building has a base mass of over 500 tons. This mass is isolated from the surrounding earth by a set of specially designed springs. 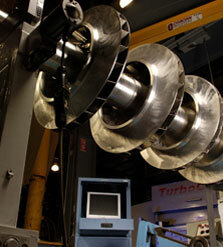 This level of isolation allows our staff to discern accurately the source of any vibrations. 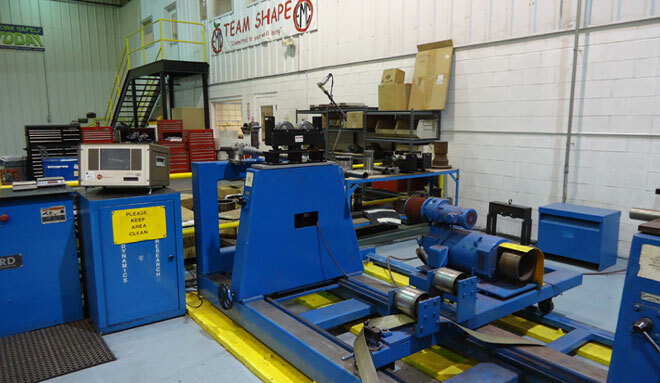 Our testing and recording systems are the latest equipment available from Bentley Nevada and EMC has on its staff one of the foremost industry experts on balancing large rotating equipment. EMC is capable of analyzing rotational imbalances on installed equipment at a customer site and making realistic recommendations to solve the problems.